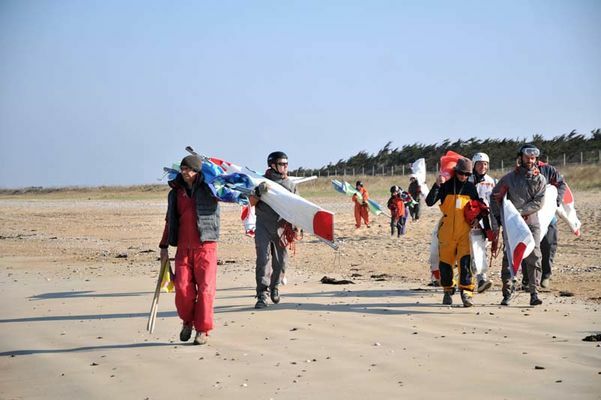 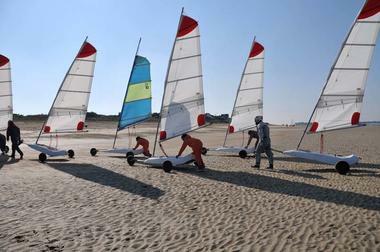 Based in Penthièvre, on the beach that stretches out to the west coast of the Quiberon Peninsula, the Passagers du Vent School offers the ideal location for sand yachting. 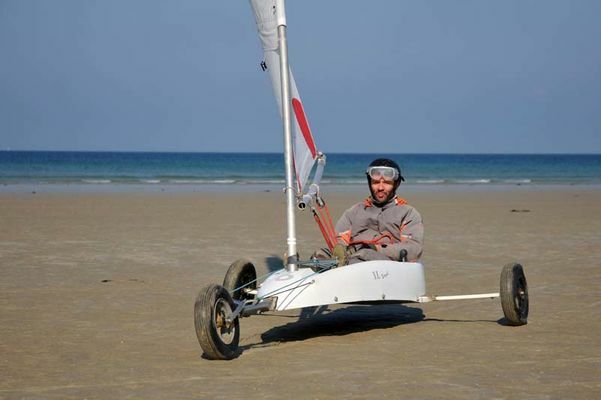 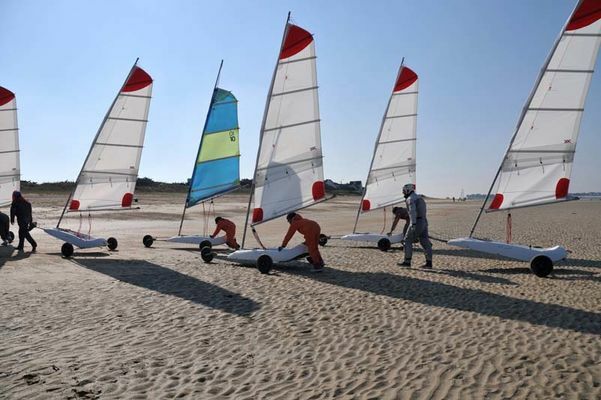 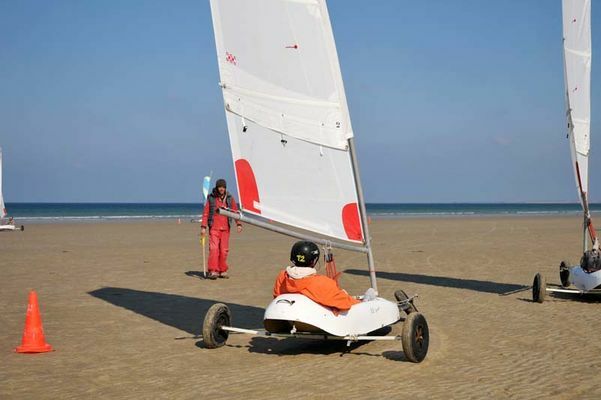 The association Passagers du Vent offers beginners’ sessions in sand yachting throughout the year. 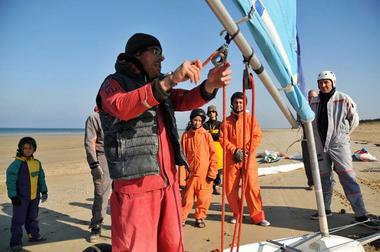 One to 2 hour training sessions are given by officially qualified instructors. 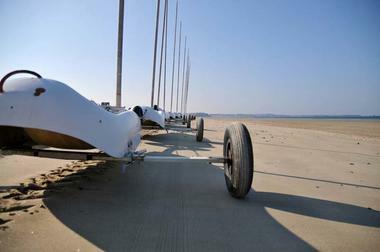 The lessons take place on a 4-mile long beach, which is the ideal playground. A sand yachting school above all else, Passagers du Vent can now boast fifteen years of experience. 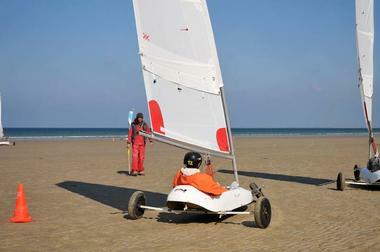 Based around an association, the school has developed to hire professionals and set up beginner’s sessions. 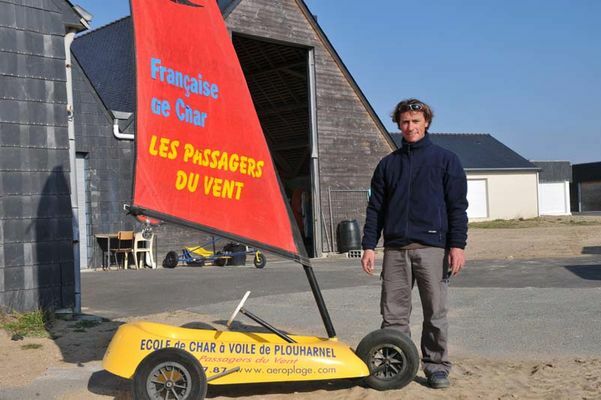 Today, the club has close links with the Brittany Surf School so a combination of activities is possible. 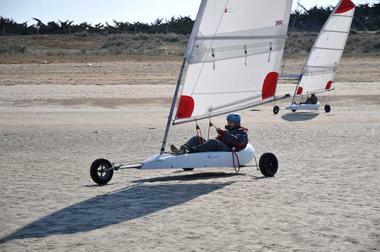 When there is too much wind to defy the waves, it is often ideal for sand yachting and vice versa.